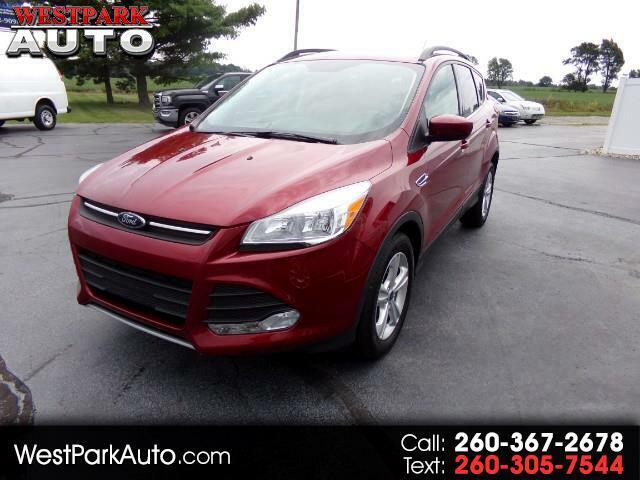 This Ruby Red 2016 Ford Escape SE is a Carfax One-Owner vehicle. This Escape has Cloth Seats, Power Driver's Seat, Dual Zone A/C, AM/FM Radio, SiriusXM Satellite Radio, CD Player, Backup Camera, Fog Lamps, Automatic Headlights, and Roof Rails. This vehicle comes with Owner's Manual, Spare Key, and 4 Carpet Floor Mats.